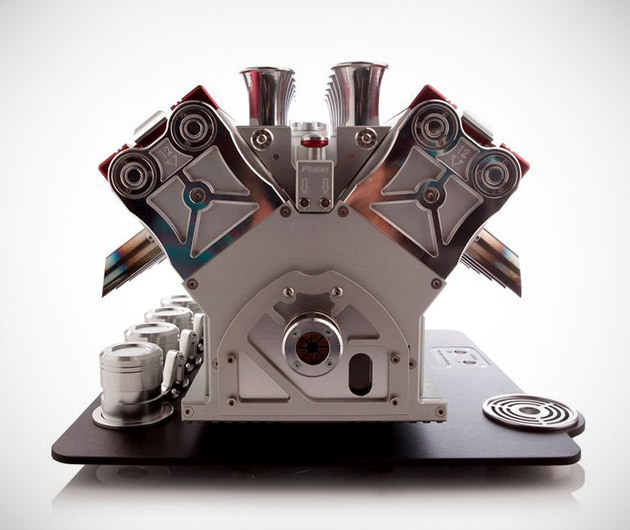 The most beautiful espresso machine in the world, claim its makers. 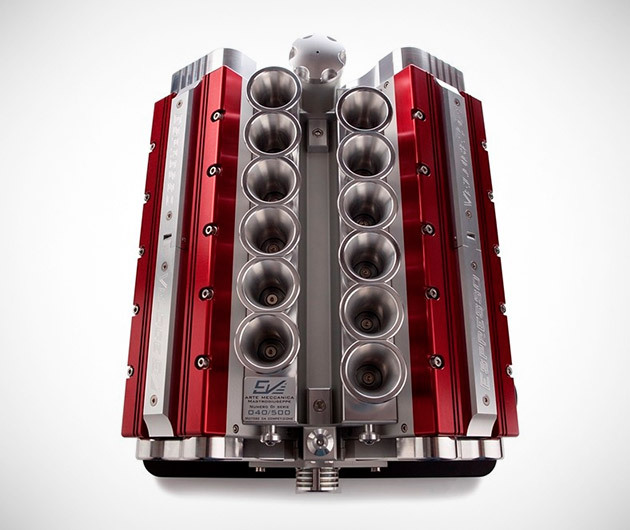 They forgot to mention coolest, sexiest, and quite possibly “fastest” too. 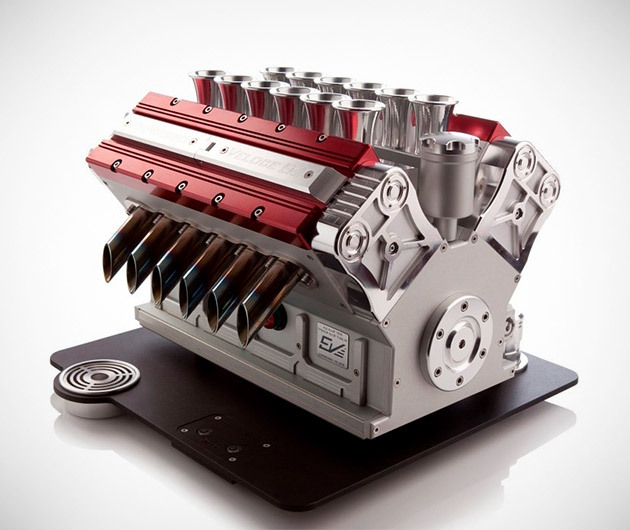 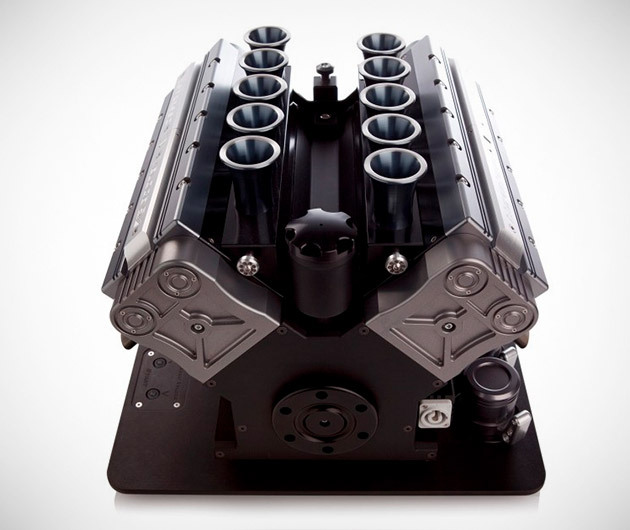 The V12 Espresso Machine is functional automotive art, crafted from a real life grand prix engine and incorporating real life parts to brew your java. 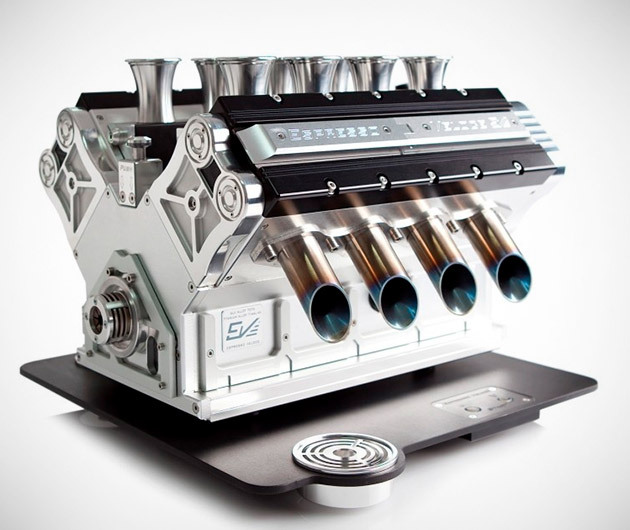 Alas, they’re only making 500.